Wee Blue Swirls: Guest Artist at Whimsie Doodles!! I'm super duper excited to be sharing my cards with you today as guest artist for Whimsie Doodles! 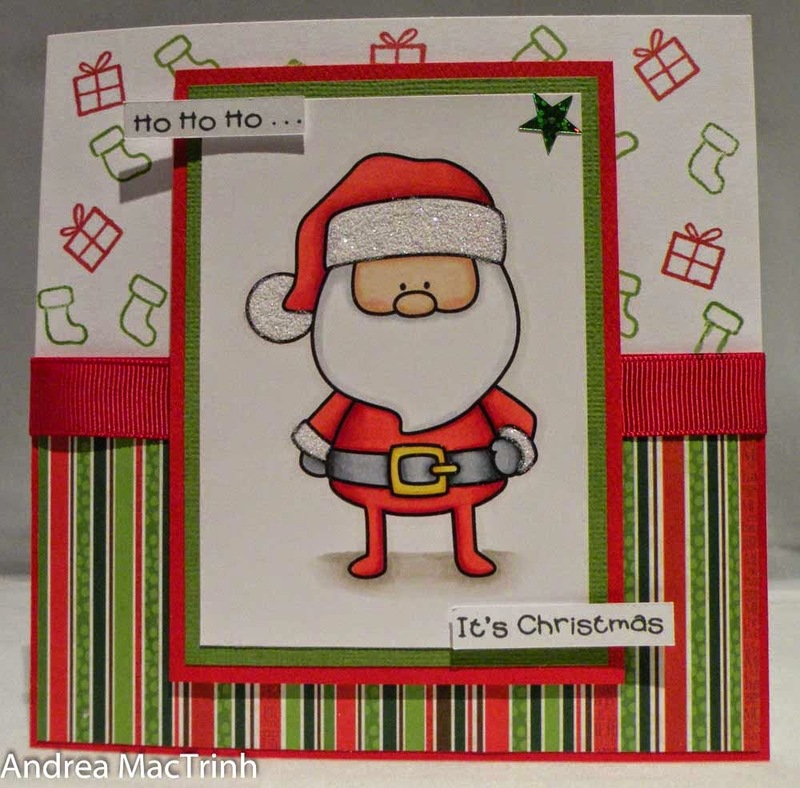 I may have mentioned this before but I love their digi's...and I also love making Christmas cards. So you can guess how excited I was when I got my hands on the new digital stamps from the November release - Santa & Friends and Santa Sentiments. I kept with the traditional green and red for this one - Santa's just got to be in red! 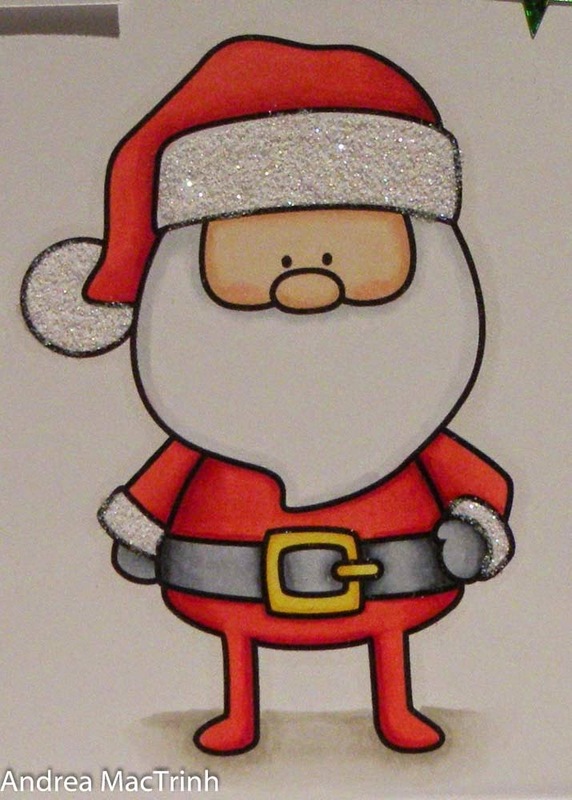 I have quite a few Santa stamps but I'm not sure any are as cute as this guy! I coloured him in with my copics and added some Crystal Glamour Dust to his hat and cuffs for some extra sparkle. 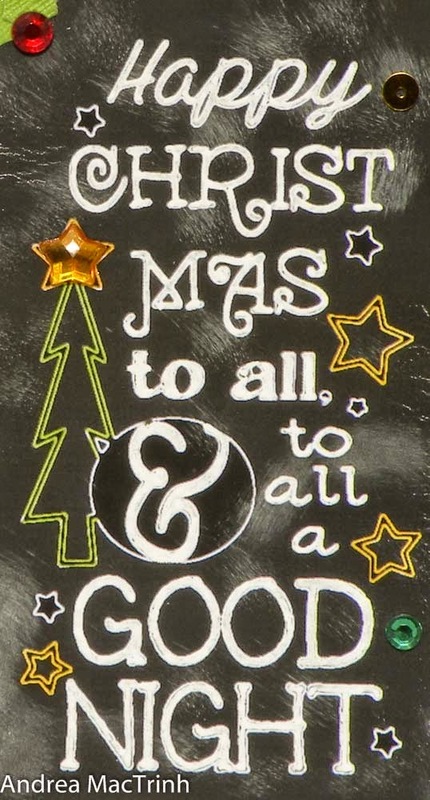 When I saw this sentiment my first thought was chalkboard!! I have never tried this technique before and set myself the task of trying to do it with a digi!! I certainly achieved a messy chalkboard effect! It was super easy to do. I enlarged the digi in Word and added an artistic effect called 'glow edges'. This outlined all the words in white with a black background. I coloured in the words with white sakura gelly roll pen to give a more realistic chalk effect used and I sponged the image with white ink. The tree and stars are coloured with copics. Addition of paper, die-cut holly leaves, some bling and it was done. It is probably one of the fastest Christmas cards I've ever made! That's it from me today. 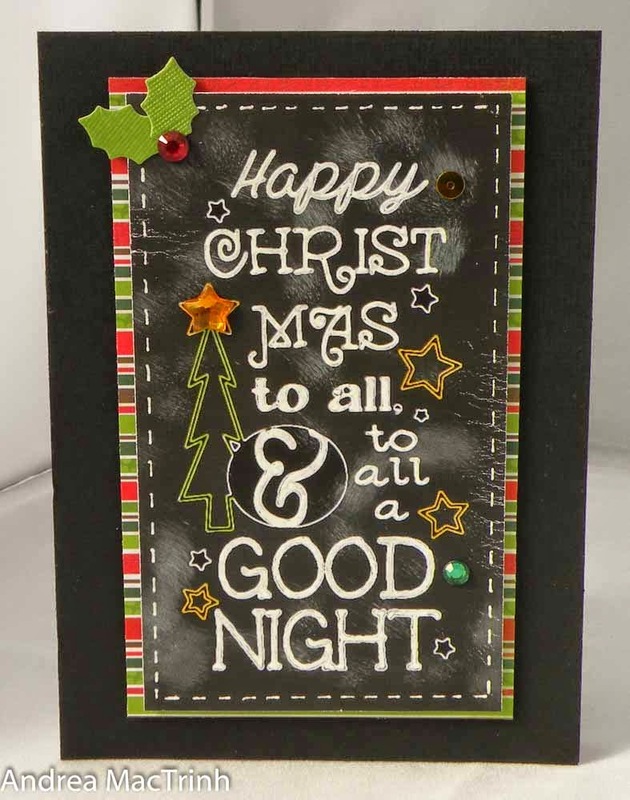 For more inspiration head on over to Whimsie Doodle Blog where you can see the awesome cards made by the DT team and to join in with this month's challenge - Merry and Bright. Thanks so much for visiting and hopefully see you again soon. I Love these both!!! Love that santa!! Love that you added that bit of sparkle to him!! Love your chalkboard technique too!! That is just WONDERFUL!! Love the elements all the different stamps! Just perfect!! Awww . . . Santa is so cute! Beautiful coloring, too! And great job on the chalkboard card; good for you figuring out how to do it with a digi. Thanks for playing with CSAYL. Sorry I'm so late in commenting.